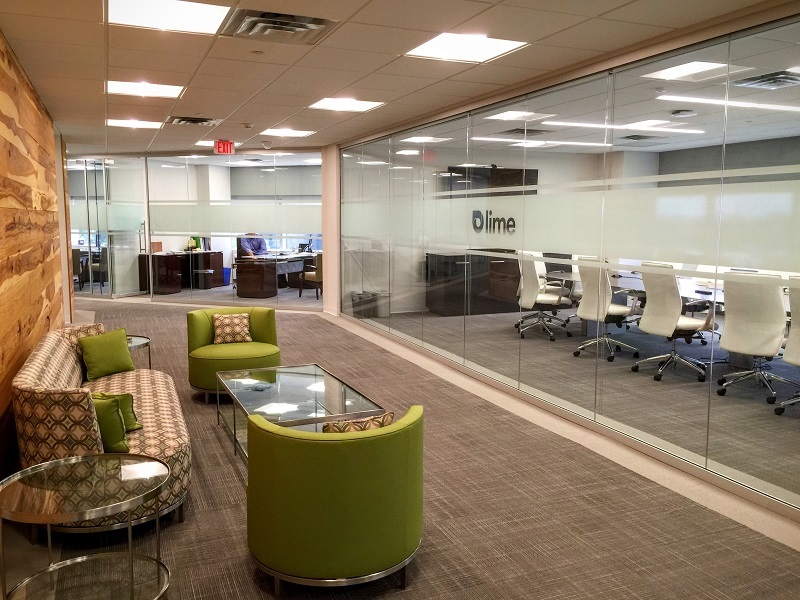 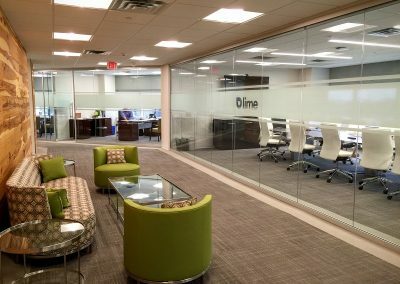 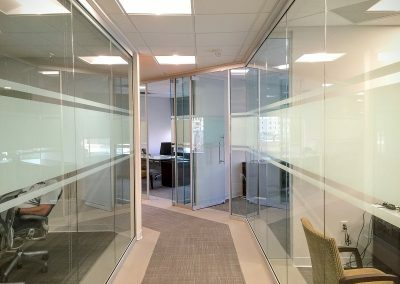 Slimline glass walls are the solution for the headquarters of an energy solutions provider. 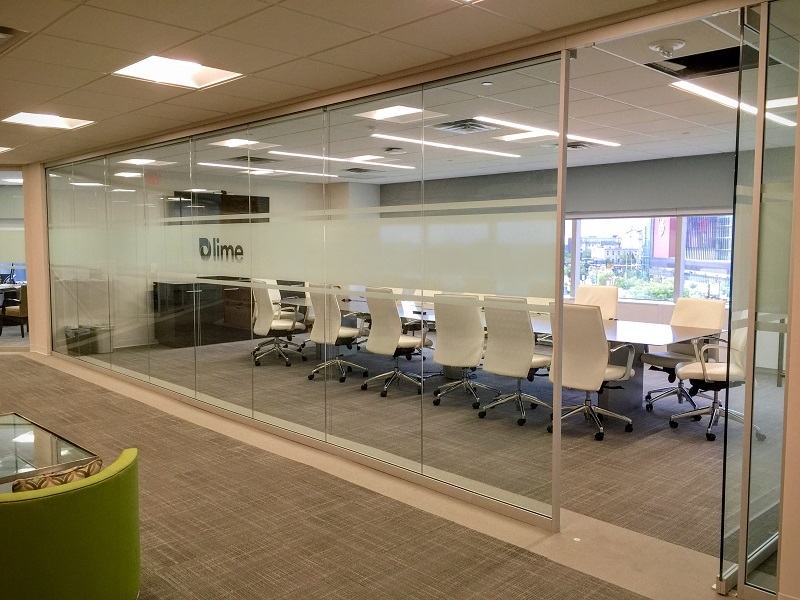 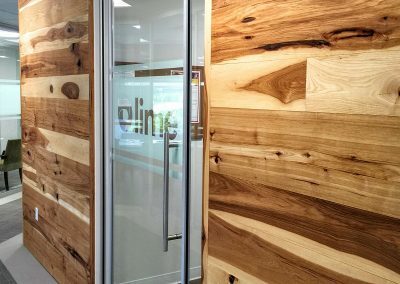 Slimline glazing opens up the space, allowing light and views to penetrate to the interior spaces. 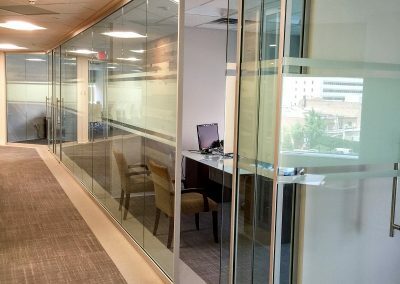 Ceiling runner was attached to a drywall bulkhead that is slightly offset from the ACT ceiling. 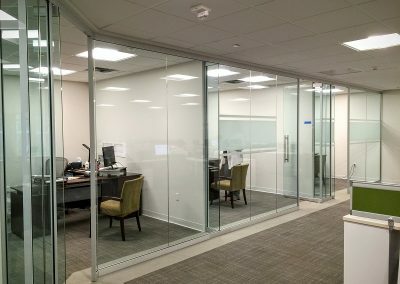 Frameless glass pivot doors are fitted with a bottom rail which aligns with the floor glazing sill,and includes an office lock. 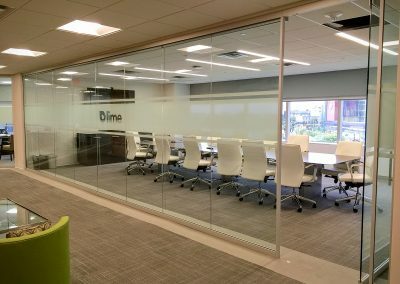 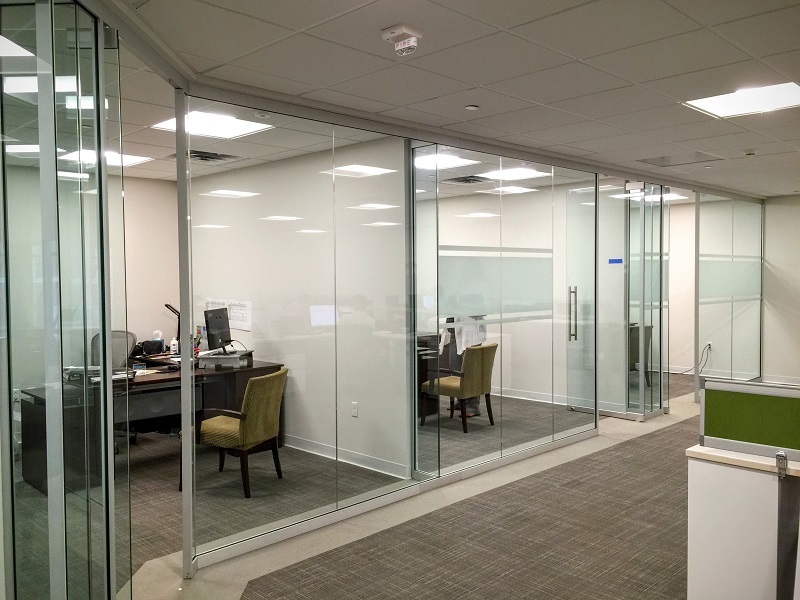 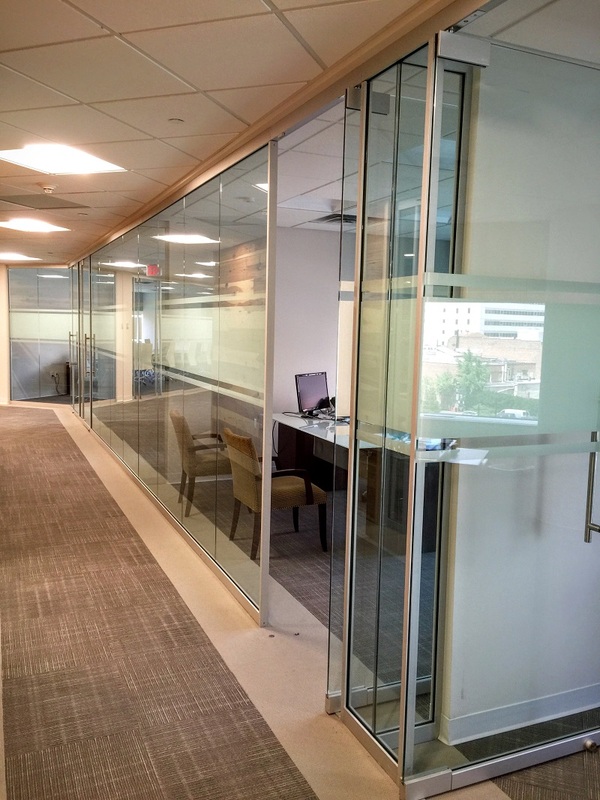 Glass T-Conditions are formed at the ends of the drywall office dividing walls. 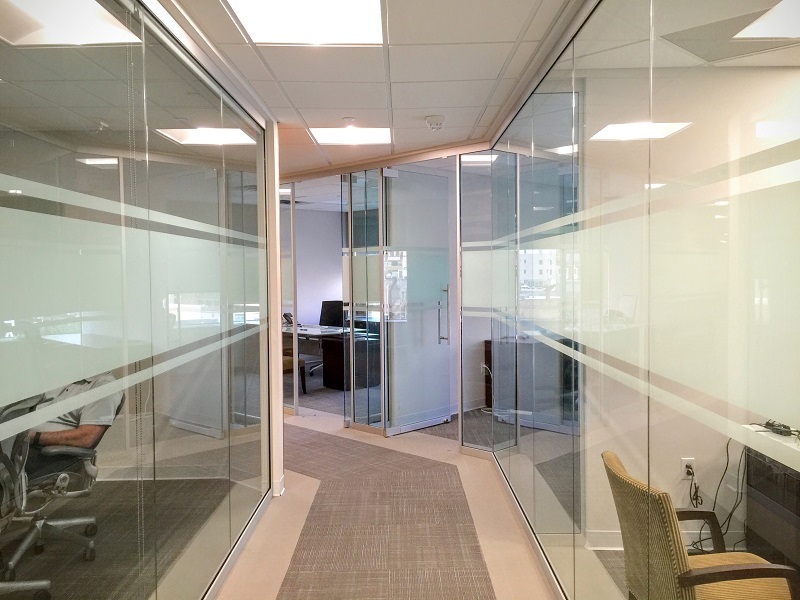 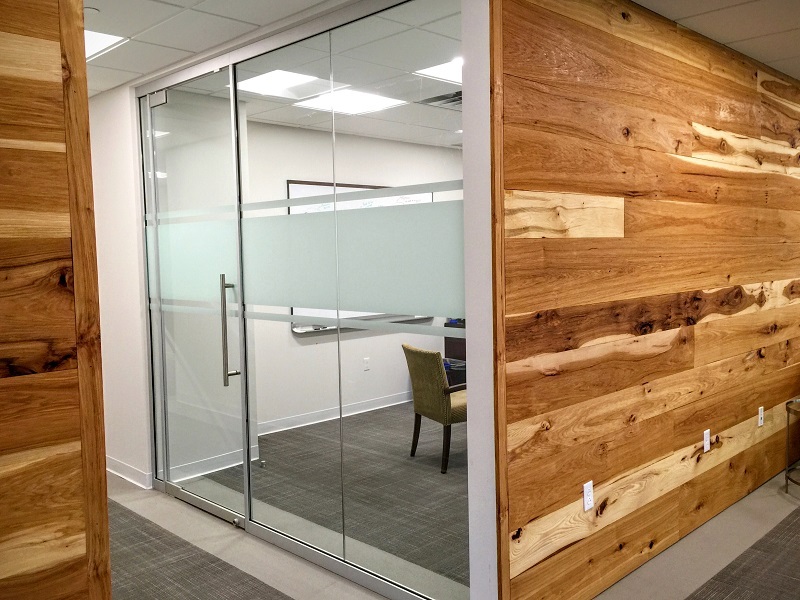 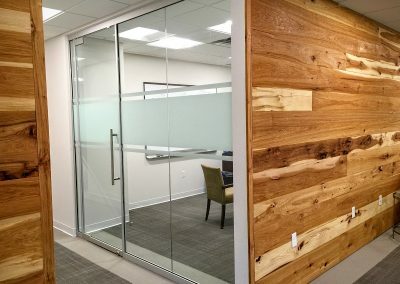 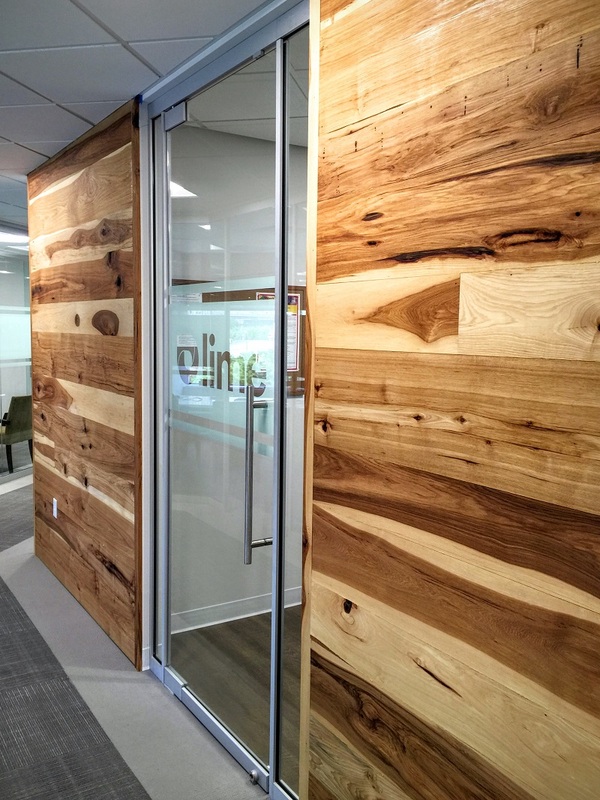 A band of field-applied glass film provides some privacy along with an interesting visual pattern.